Attending the Living the Passion Conference. 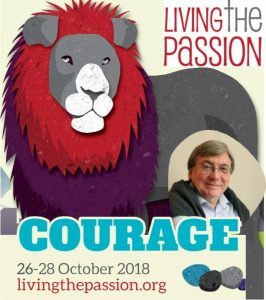 This conference is on evangelism and pulls together a number of organisations, including, Counties, Church Planting Initiative, GLO, Partnership, Church Growth Trust and Echoes who have joined forces to arrange a weekend conference to fan the flames of passion for sharing the gospel in the UK. Bible teaching from Lindsay Brown, who is a native of Wales. He studied European history at Oxford (MA) and theology at the Free Faculty of Theology at Vaux-sur-Seine, near Paris, under Henri Blocher. He has been involved in student ministry with IFES for over 40 years, serving variously as European Regional Secretary, International General Secretary and currently heads up FEUER (Fellowship of Evangelists in the Universities of Europe) a network formed by a joint effort of UCCF, the British student movement and IFES, the international evangelical student body – which has as its aspiration the renewal of public communication of the gospel in the universities of Europe. He recently served as the International Director for the Lausanne Movement for World Evangelization.